A hydraulic motor with a planetary drive gives you a high torque and makes the auger unit very efficient in many tasks. 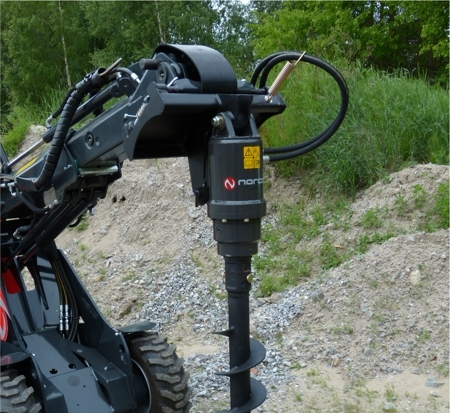 A large selection of different size augers makes it possible to drill holes from 75-900mm. To auger in hard ground conditions is made possible thanks to the replaceable tungsten teeth and pilot head. Norcar Multi Faster is standard.